The ULTIMATE SOLUTION for anything that produces heat where it is not needed, wanted, or causes problems. KIYLEX solves the HEAT SOAK problem. KIYLEX reduces HEAT by up to 15 to 30% depending on which KIYLEX PART or PARTS you have on your vehicle. All this due to the unique Technology of KIYLEX that dissipates HEAT. While other standard Auto parts made from metal on a RUNNING ENGINE are too HOT to touch, KIYLEX AUTO PARTS are only warm to the touch. 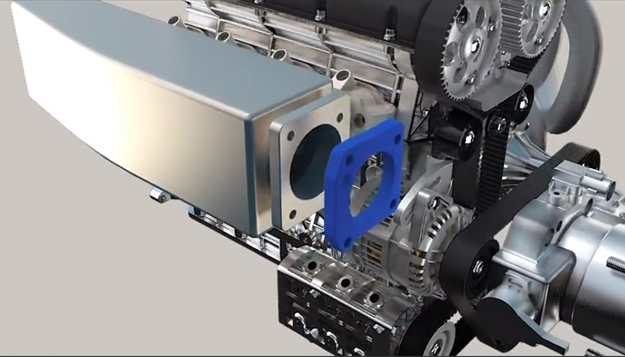 Our revolutionary KIYLEX Technology was invented to dramatically reduce the heated intake air and outperform Aluminum in mechanics. depending on which part or parts you get. resulting in overall heat reduciton. With a LIFETIME REPLACEMENT WARRANTY, purchasing KIYLEX a WISE move. When you have KIYLEX on your vehicle, you have a SMART Auto Part. by up to 15-30% in the Automotive Industry besides KIYLEX .